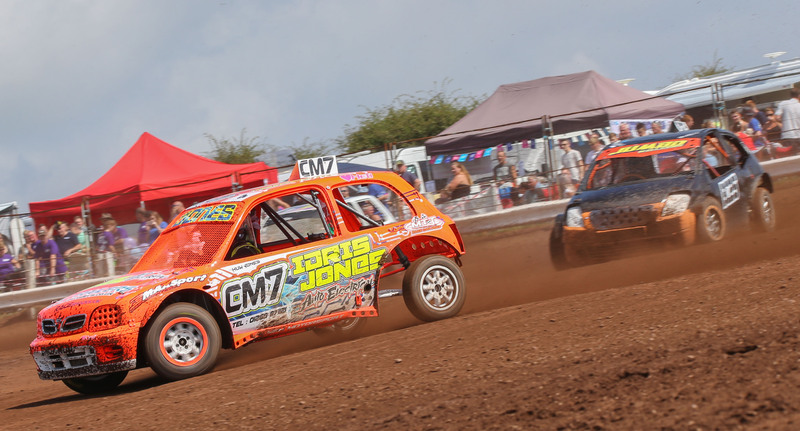 With the 2018 men’s Autograss National Championships over there was some success for the local South Wales League drivers racing on their home track at Red Roses over the weekend,writes Gary Jones. 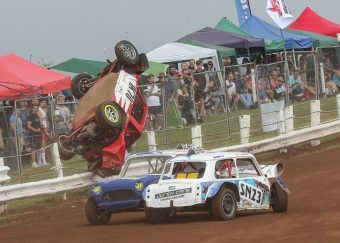 Those that made the finals from 400 cars racing in various classes included CM4 Viv Cole in class 3 who finished 6th. Huw Jones from Bancffosfelen in CM7 (below) took the runner up in class 4 only losing the win on the final corner, whilst Rob Corbett from Cenarth had to be content with 3rd. Dorian Llety Shon from Felinfach finished 6th after taking a heat win to make the final. Class 5 saw PHD7 claim 5th, whilst Class 6 saw the defending champion Dalton Thomas take runner up in CM8 (below). But there was some consolation for local fans as Class nine saw Steven Lindsay crowned National Champion in PHD1 as the racing came to a close late on Sunday afternoon after some thrills and spills that kept spectators entertained over the weekend.